Impact Communities is the provider of this exciting coaching and mentoring program in Tasmania. Life Business Consultancy, Australia, has developed this ‘turnkey’ youth coaching system that includes both the TRAINING and CURRICULUM that schools and youth agencies need to deliver powerful life, career, performance and peer coaching programs in GROUPS OR ONE TO ONE straight away! Coaching Young People For Success (CYPFS) is currently being implemented by youth practitioners and educators within career and transition, well-being, leadership, employment, juvenile justice and indigenous and non-indigenous youth support programs across Australia, and now within the US, Canada and the UK. CYPFS includes FOUR COACHING MODULES that can be delivered separately or together to form an extended coaching program (up to 80 hours) to assist young people to design an inspiring life, career and school performance pathway plan and then support them to achieve it. 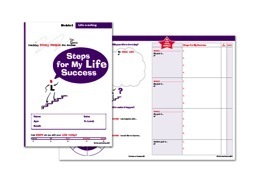 Each Module comes with its own step by step PowerPoints, a leader’s manual, eight sets of coaching activity card sorts, and pathway plan worksheets. 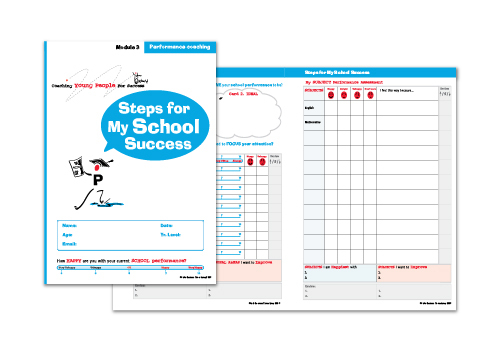 The pathway plan worksheets then provide a guide to focus and fast track change in all 1:1, group or peer coaching sessions. The Career Coaching Module goes beyond traditional, best fit career approaches to assist every young person to design an inspiring Life and Career Pathway Plan that matches their strengths, interests, values and preferred lifestyle from the inside out. The Module can be completed as a 3 hour workshop or one to one and can be delivered in conjunction with the Life, Performance and Peer Coaching Modules to form an extended coaching program. The completed Life and Career Pathway Plans then form the basis of an ongoing career coaching or peer mentoring program. The Life Coaching Module includes powerful future and action oriented coaching strategies to assist young people to identify the emotional skills they need to achieve greater health and well-being in all areas of their life. With the assistance of a step by step PowerPoint presentation and powerful coaching activities and card sorts, the CYPFS Leader will assist young people to design a tailor made, Steps For My Life Success Pathway Plan that can be used to focus all on going coaching sessions to maximise change, learning and action. The Module can be completed as a 2 1/2 hour workshop or delivered one to one, and can be offered in conjunction with the Career, Performance and Peer Coaching Modules and expanded activities to form an extended coaching program. 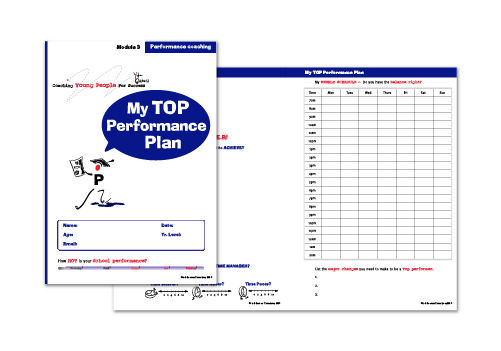 This Performance Coaching module can be delivered in groups or one to one to motivate senior and tertiary students to take their school performance to a new level. The CYPFS leader will assist every senior student to design a tailor made School Performance Plan that includes the steps they need to take to maximise their success at school. The action plan can then be used to motivate students to take responsibility for their own learning on an ongoing basis by assisting them to review and reset their school performance goals throughout the year. The Module can be completed as a 2 hour workshop or one to one and can be delivered in conjunction with the Life, Career and Peer Coaching Modules to form an extended coaching program. 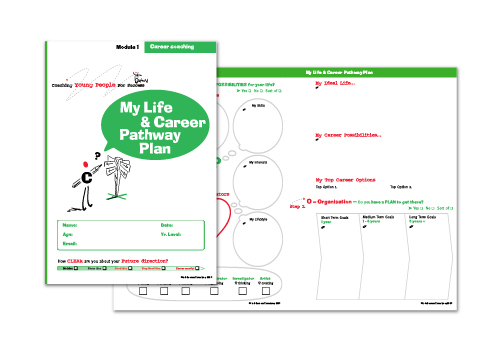 The completed Life and Career Pathway Plans then form the basis of an ongoing career coaching or peer mentoring program. The CYPFS Peer Coaching Skills Training Module provides CYPFS Leaders with the resources they need to introduce peer coaching as part of an extended CYPFS Program. The Peer Coaching Skills Module includes a step by step slideshow and leader’s manual which includes up to 10 hours of peer coaching skills activities to assist young people develop skills they need to support each other to implement their own Life, Career and School Performance Action Plans in pairs or small groups on an on-going basis. The training and modules are getting a great response from all sectors and having a great impact with young people. For me this program has been a HUGE help. Before this program started I really had no idea what I wanted to do. Now I can see what I want to do and know the steps I need to take to achieve what I want and I can believe that a career is possible for me even if I change my mind in a few years. I really hope this program continues to help young people learn valuable life skills to help with future careers and pathways. But, most of all helping young people believe that no matter the circumstances, anything is possible if you put your mind to it and work for it. To increase opportunities for people and communities by delivering effective and innovative programs and services that address unmet needs.